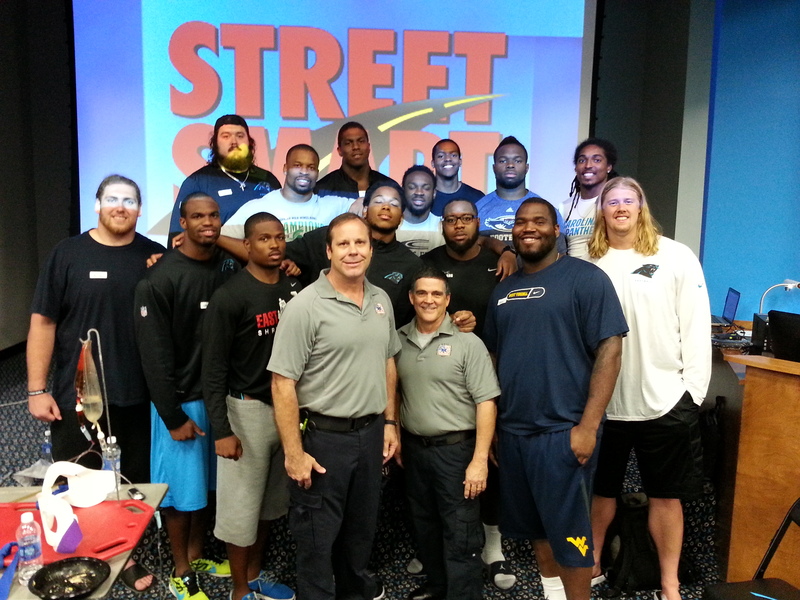 Coming June 21, 2016 the Street Smart team will be presenting to the famous Carolina Panthers NFL team. As you know we present to NFL teams to help keep their players safe. Photo of 2014 team members after participating in our impactful presentation. A great investment in a fine group of players.